Your business is unique, as are the opportunities and challenges you face. To help your business grow and prosper, Amber Financial Management specialises in providing a bespoke high-quality accountancy service, tailored to a precise fit for you and your business. Our proactive approach ensures you can concentrate on other areas of your life and business, with assurance that we are working with you to achieve success, whilst protecting and growing your wealth, both now and in years to come. We build strong working relationships with our clients, make them profitable and rewarding. Amber Financial Management can help you inject growth into your business and enhance your external image and impact on the positive perceptions of investors, potential finance sources, customers, prospects, referral sources, and even your own staff by helping you improve your business prospects and processes for the future. In the world of start-ups, life moves fast. Having a good accountant is fundamental to keeping your business finances in shape and to staying on top of your cash flow, tax and other business matters. Your Amber Financial Management team is here to guide and support you every step of the way. First of all, we assess exactly where you are and help you evaluate what is and isn't working. We then set up the controls, systems and processes necessary to grow your business. We are looking to help you achieve step change growth, not just organic growth. 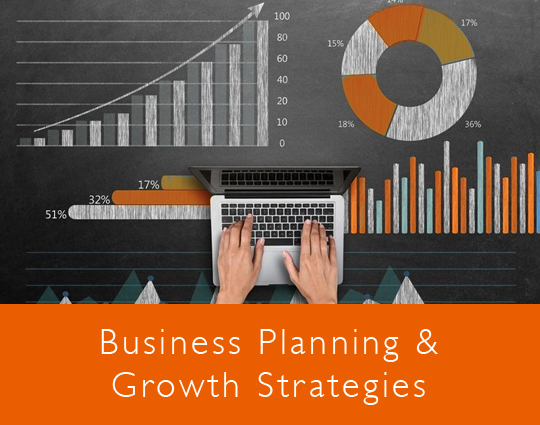 Most businesses have a business growth strategy. But what if that strategy just isn't working, or is losing steam? Your Amber Financial Management team can help you access new business growth opportunities, improve cash flow and profitability, identify cost reductions and put in place planning processes to give your strategy a much-needed boost. When times get tough the Amber team is always at your side to help you to stabilise and/ or restructure your business. 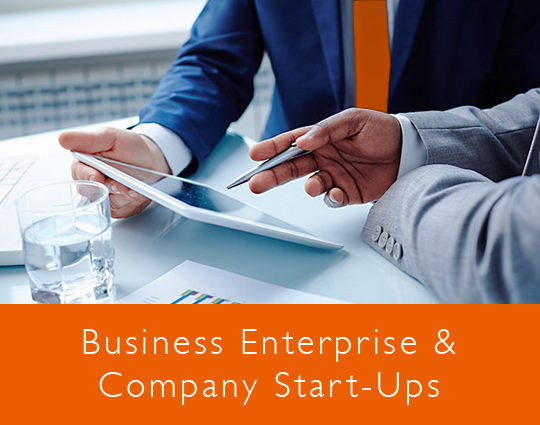 We are here to give you support, help you raise essential funds and present realistic and practical solutions to get your company back on track. We will work closely together with you to determine the key issues and decide on joint turnaround plan to move your business forward. 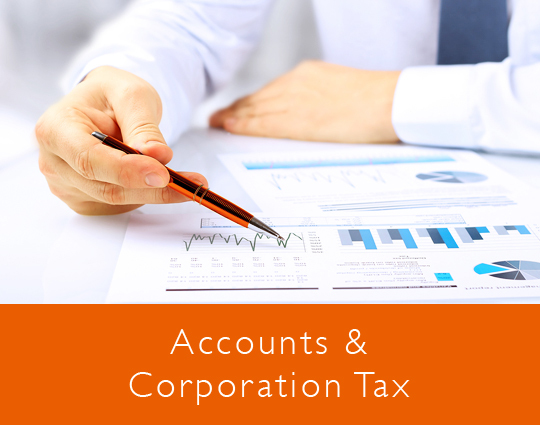 UK Corporation Tax can be a tricky subject to wrap your head around, but your Amber Financial Management team can help you determine the most tax efficient structure for your business, how to take advantage of tax opportunities and reliefs, achieve the optimum capital and revenue tax and meet rigorous demands of compliance. We help you improve your bottom line through effective corporate tax planning, making sure you don't miss out on key tax breaks and tax reliefs. Our team will help you understand the different ways in which the annual investment allowance, other capital allowances and allowable expenses are treated and can assist you with the preparation of company accounts, company tax returns and tax computations. Ever changing regulations and the growing demands of HMRC mean compliance can be a difficult administrative process. To help you manage this complex area your Amber Financial Management team can take some of the pressures away by helping you better manage the day to day functions of your business. From processing payroll according to your requirements, including the administration of PAYE, NI, statutory sick pay etc. 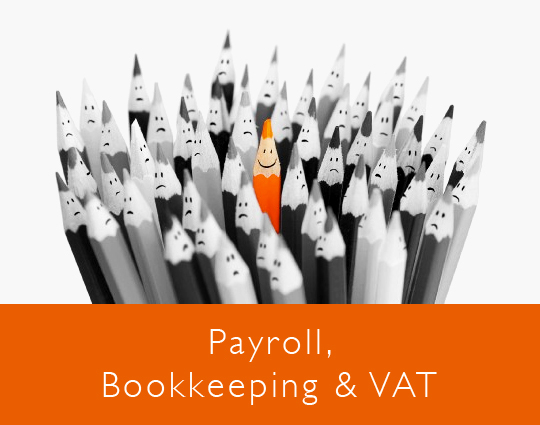 to advice on payroll and associate employment issues, assistance with year-end payroll returns, administration of incentive schemes, bonuses, pensions, to advise on VAT registration, planning, control and reconciliation, completion of tax returns or bookkeeping, invoicing and reporting, we are at your side, so you can focus on growing your business instead of having to spend time running it. 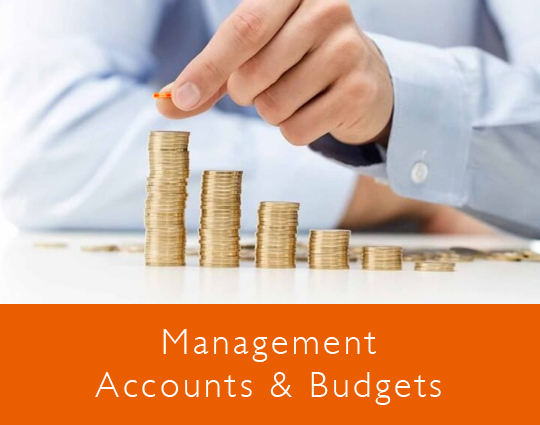 Management accounts are invaluable at providing you with information to run your business and plan for the future. Good budgeting and forecasting is essential to the growth of your business. The Amber Financial Management team can help you plan for future profitability and foreseeable events and help eliminate some of the unforeseen issues. Time and money are scarce resources, and good budgeting and forecasting provides peace of mind that your business is either moving along nicely, or they are timely pointer of any issues, which require your attention. Our experienced team can assist you to prepare set of management accounts, business budgets and forecasts, linking cash flow forecasts with projected profit and loss accounts and balance sheets. We will help you review the assumptions you use in preparing any projections and assess whether they are realistic. With various deadlines and responsibilities and the UK having one of the largest tax codes in the world, preparing even the most straightforward tax return can be daunting and complicated. The Amber Financial Management team can help take the worry away when it comes to self-assessment tax returns, allowing you to concentrate on running your business. 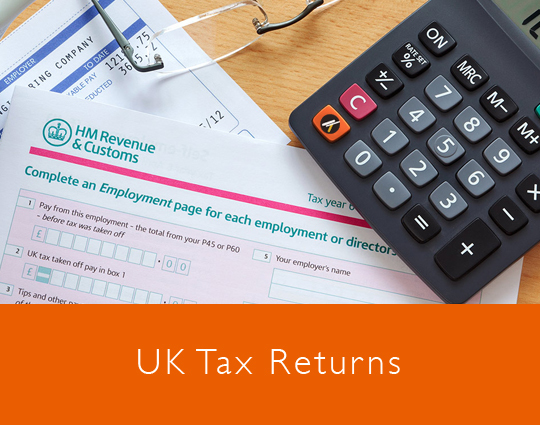 To minimise your risk of a HM Revenue & Customs enquiry into your tax affairs, we can help complete your tax return, calculate your tax liability, file the return online and liaise with you on the amounts to be paid and when they are due. Alternatively, we can analyse your self-assessment tax return to see if any tax savings can be made and we can also review the form to see if there are any anomalies that need to be addressed before the return is submitted. If you are experiencing cash flow problems, we can explore the possibilities of deferring your tax payments or negotiating a payment plan with HM Revenue & Customs on your behalf. Dealing with the tax surrounding trusts, addressing personal and family needs and estates, whilst at the same time maximising potential tax planning benefits, is complex. 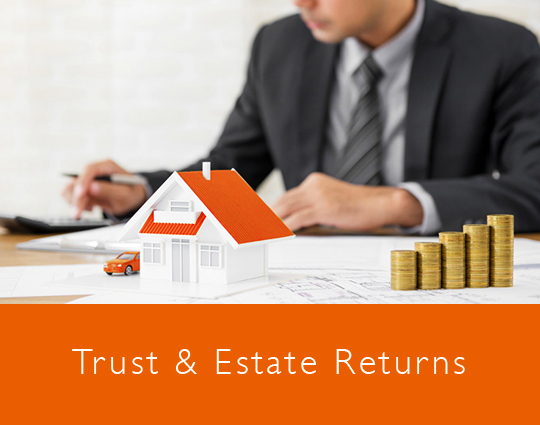 Amber's knowledge of the tax rules concerning trusts and estates is wide ranging and we are able to advise on situations where a trust may prove beneficial, including assistance in establishing and running a trust and dealing with all compliance requirements. We offer a variety of tax and planning services from preparing trust and estate self-assessments, finalising the deceased's tax affairs to date of death, calculating the inheritance tax position, completing any necessary inheritance tax forms and agreeing any liabilities with HMRC. Our team are able to deal with the tax complexities surrounding estates, including accounting and tax requirements, through to obtaining grant of probate and dealing with estate distribution cost effectively. The Amber Financial Management team prepares annual accounts, or if required, interim accounts with supporting documentation for all types of trusts and estates. Partnership accounting assesses the financial activity of every partner in a company, covering tasks, such as investments, fees and asset distribution. Getting partnership accounts and tax returns wrong can be expensive and keeping up to date with all of the changes in allowances it not always easy. Talk to our Amber Financial Management team, if you need help understanding how it all works. 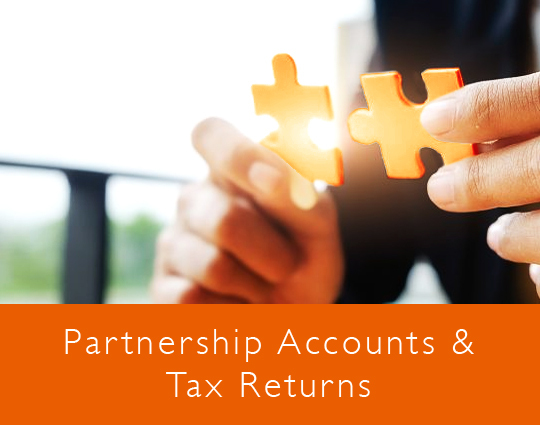 There are several distinct transactions associated with a partnership that are not found in other types of business, we can prepare your partnership accounts and tax returns, ensuring that all reporting requirements are met and the correct amount of tax is paid over to HMRC. One part is to help you work out each partner's share of the profits or losses, important information needed for your personal self-assessment return. We are also at hand to help with any changes in partnership.